Determination of powder flow characteristics of ground cinnamon. A Brookfield Powder Flow Tester equipped with Powder Flow Pro software for automated instrument control and data acquisition, was used to test ground cinnamon. The cinnamon was scooped into the trough, and the scraping tool was then used to evenly distribute the powder and form the sample. After recording the sample weight and entering it into the software, a standard flow function test was run. Time required for the test was 25 minutes. Figure 1 shows the flowability of the ground cinnamon at different levels of consolidating stress. These results show that the cinnamon is easy flowing at higher consolidating stresses and then becomes more cohesive and difficult to flow at lower consolidating stresses. The axes are Unconfined Failure Strength (kPa) vs. Major Principle Consolidating Stress (kPa). Figure 2 shows arching dimension and rat-hole diameter (based on a standard bin diameter of 2 meters and a bin height of 8 meters). An opening of greater than 0.085m is required to ensure a cohesive arch does not form. An opening of greater than 0.864 m is required to ensure a rat-hole will not form. These values indicate a material that may have flowing issues. Figure 3 shows the bulk density of the material at different levels of consolidating stress. This graph tells us that the ground cinnamon has a fill density of about 446 kg/m³ and rises to about 589 kg/m³ at around 9.6 kPa of consolidating stress. In general, a free flowing powder will show very small changes in bulk density, while a cohesive or poor flowing powder will generally show a large increase (30% to 50%) in bulk density. This cinnamon shows an increase of 32% in bulk density which is an indicator that this powder may have an issue flowing. The ground cinnamon starts out easy flowing when the feeder system is full, then it becomes cohesive at the lower consolidating stresses as the system is emptying. Possible problems include cohesive arching (when the powder forms a cohesive bridge over the outlet) and rat-holing (when the powder flows out only from the center leaving the rest of the material static against the walls). This material flows like many spices do in that they start as an easy flowing material and then gain strength, becoming more cohesive as the system is emptying. 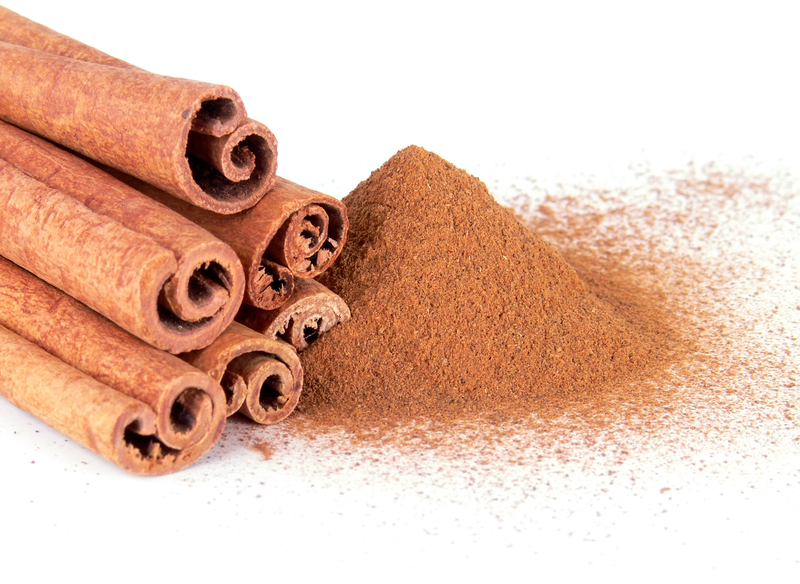 Cinnamon, being a spice, will also be hygroscopic, so high humidity levels will make this material become even harder to flow.